Most of us have fond memories of messing around in swimming pools as kids – jumping in, bombing, or being thrown in the air by our parents. 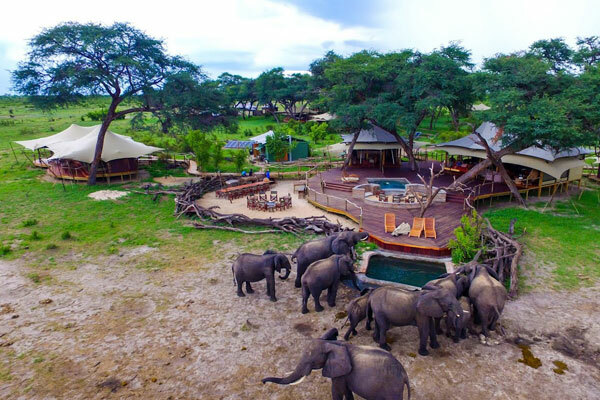 I also vividly remember my first visit to Somalisa Camp in Zimbabwe’s Hwange National Park and watching elephants drinking from the swimming pool there. 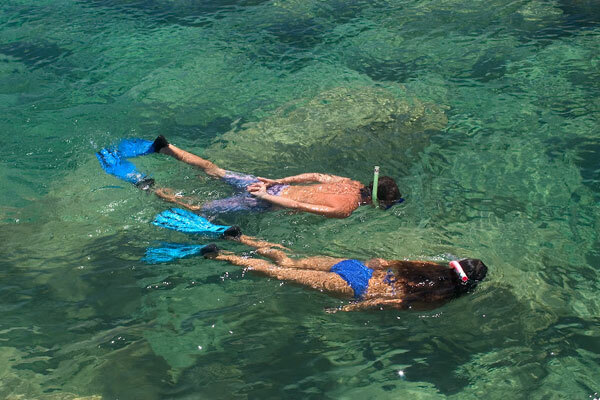 I’ve gathered together some of my favourite places to swim in Africa, some of which offer opportunities you won’t find anywhere else in the world. ‘Unique’ is often used where ‘unusual’ would be the more correct term, but I think a few of these are truly unique experiences. Photos and videos of the Devil’s Pool have become infamous among thrill seekers around the world. It seems impossible that people can sit in the river smiling on the very edge of Victoria Falls with a 100m drop to the rocks below. But a deep pool, and just a small amount of water flowing over the lip of the falls at certain river levels, makes this a similar experience to sitting in a man-made infinity pool. As fun as it is to have elephants drinking from your pool, they don’t shower before sticking their trunks into the water – or if they do it is with dust! 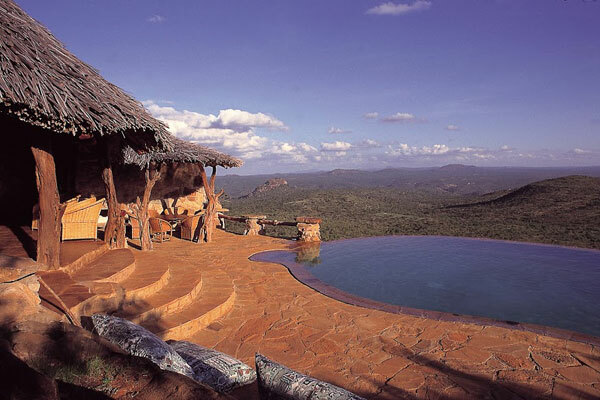 Somalisa have now built a raised guest pool, out of elephant reach, to ensure clean water for swimming. 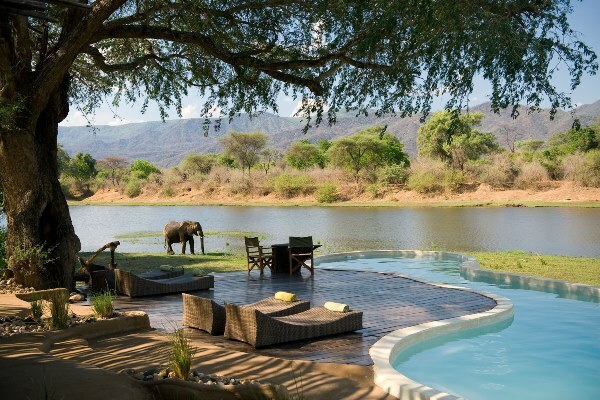 The elephants now have both the waterhole in front of camp and the original pool at the edge of the decking. 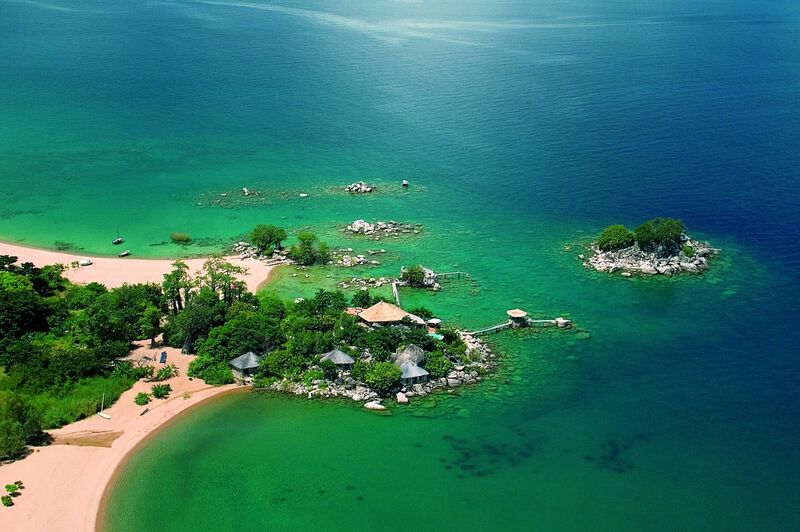 At 360 miles long, Lake Malawi hardly seems like a lake: with sandy shores, multi-coloured shoaling fish and beachfront holiday resorts it’s more like an inland sea. Only when you emerge after a refreshing swim, and realise there’s no salt to wash from your body, do you remember the water is fresh. 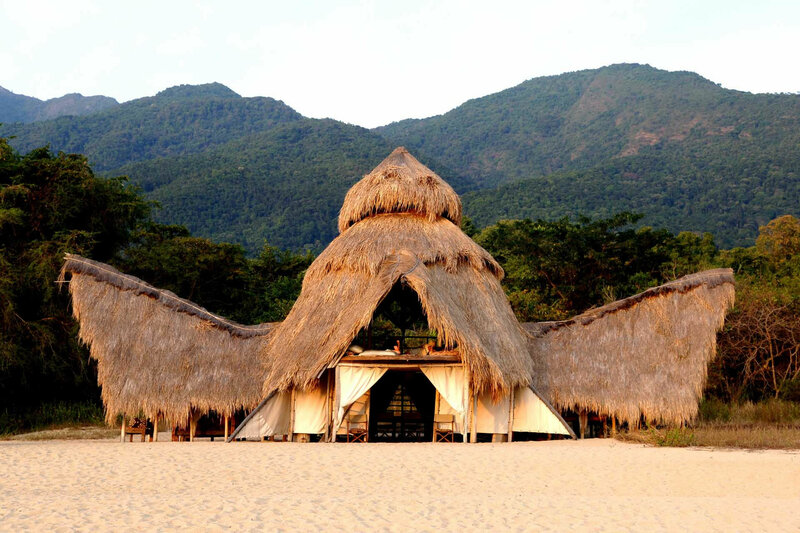 With upmarket lodges like Kaya Mawa and rainbow-hued cichlid fish it’s a swimming spot to rival its saltwater competitors. Another childhood memory is swinging back and forwards in the park and then jumping off at the highest point. Not ideal onto tarmac, but this was before health and safety and rubberised surfaces had been invented. 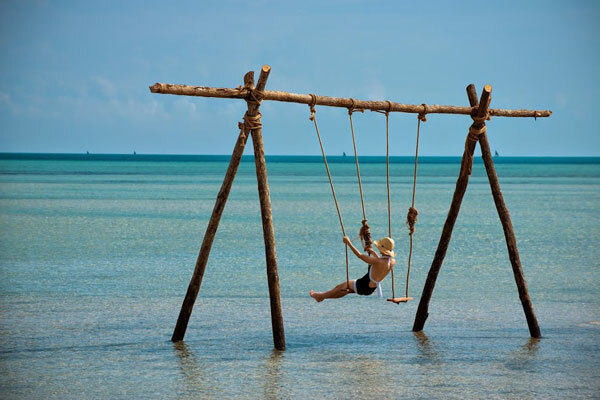 Imagine my excitement therefore to discover andBeyond Benguerra Island’s swing in the sea. Big jump and big splash, before wading back and doing it all over again. I’m not sure I’m as elegant at almost 50 as I was at less than ten, but I also don’t care! 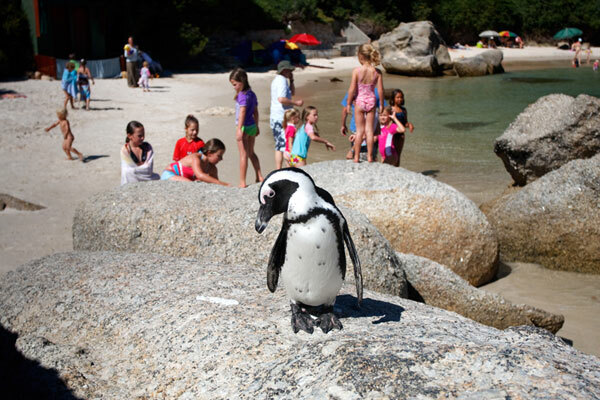 Wikipedia describes Boulders Beach as “a sheltered beach made up of inlets between granite boulders, from which the name originated.” It then goes on to describe its famous residents, a colony of African penguins. While the penguins are most easily seen from the boardwalk descending towards neighbouring Foxy Bay, anyone intrepid enough to brave the frigid water can find themselves swimming in close proximity to penguins. I’ve got a feeling that this is the first infinity pool I’d ever seen roughly 20 years ago. Ol Malo sits high on a cliff and the combination of the pool and the drop behind makes it one of the most dramatic pools I’ve seen to this day. 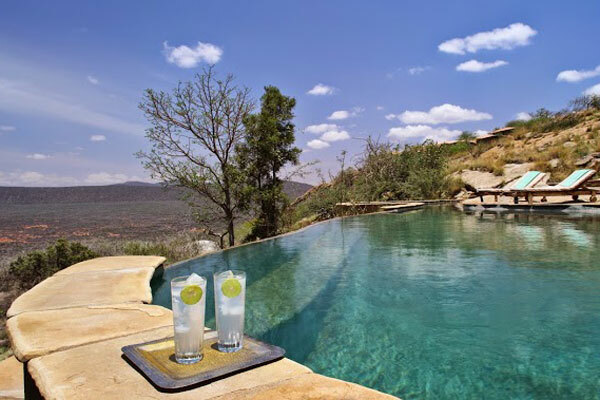 It is impressive enough to have also made it into my blog on The Best Swimming Pools in Africa along with other lodges like Saruni Samburu. 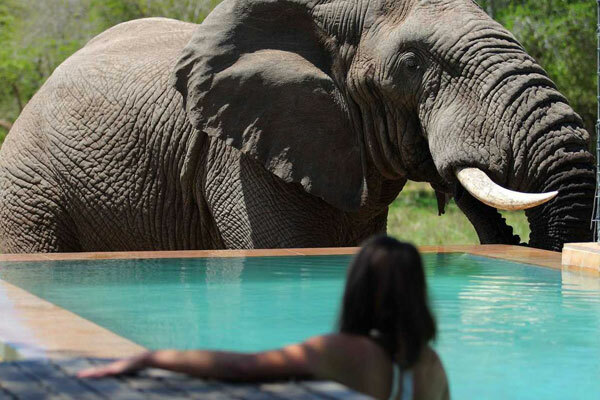 Another ‘there’s an elephant drinking from the swimming pool’ moment; this time at andBeyond Phinda’s Homestead in their huge reserve in South Africa. 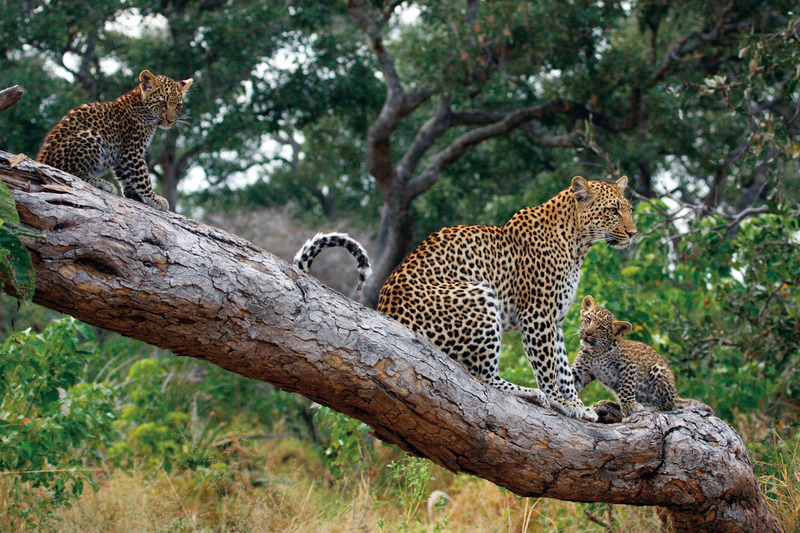 While the lodge is closed at the moment for renovations, this Aardvark Safaris’ favourite for families will be open again to host guests later in 2017. The Okavango isn’t like most rivers. It doesn’t run to the sea, but divides into smaller and smaller channels before disappearing into Botswana’s sands. These channels are rich with wildlife enjoying the lush vegetation and where they are deep enough they’re home to hippos and crocodiles too. The floodplains are fantastic for riding safaris; other wildlife trusts horses and allows you to get close. 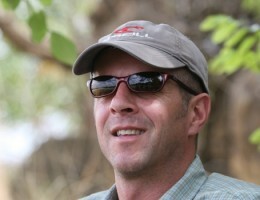 At Okavango Horse Safaris if it all gets too warm, strip off, and horses and riders alike can enjoy a swim in the river. Stay at Chongwe River House, a gorgeous private safari house in the Lower Zambezi and you can swim in the pool while watching the wildlife in the gardens and river beyond. 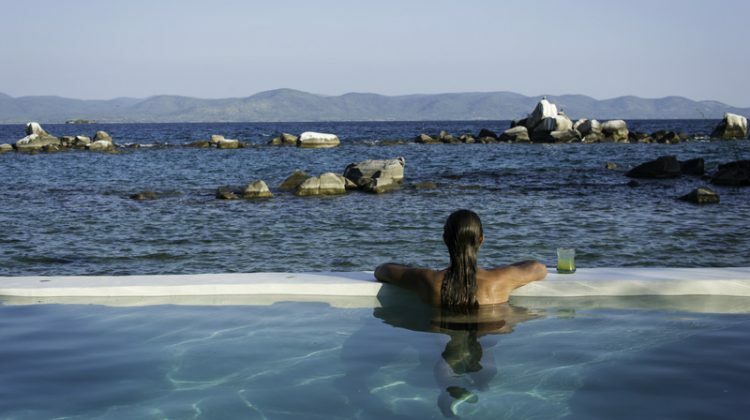 The house comes with a private guide, vehicle and boat and is a truly magnificent spot from which to explore the area. Set in a palm grove on the edge of the Makgadikgadi National Park, Jack’s Camp is an oasis of civilization in the harshest of environments. The elegantly furnished, traditional East African style safari tents are among the most beautiful in Botswana and the swimming pool, complete with sumptuous tented canopy, is like none other in the whole of safari Africa. 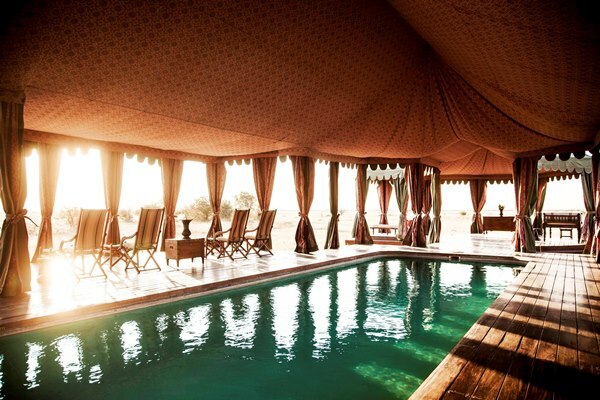 If you fancy swimming in the desert then this is definitely one to add to the list. If you’ve got this far and not found an answer to a question you have, or think there is a swimming spot that we should have included, please ask in the comments section below, or pop us an email. We’ll be sure to reply and may amend the article to include our answer.